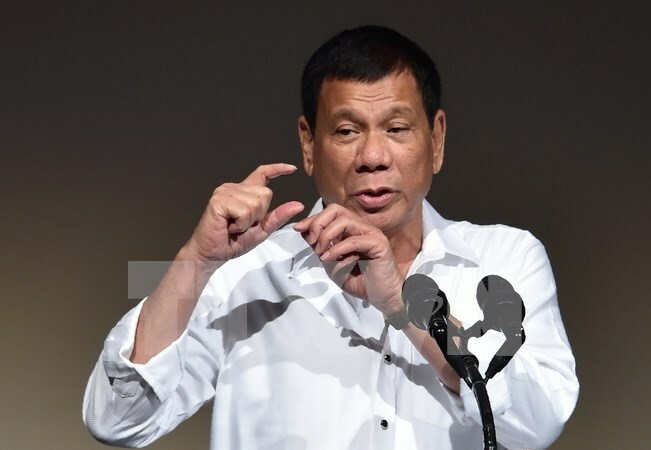 Hanoi (VNA) - Philippine President Rodrigo Duterte said on October 27 that he is open to the idea of holding military exercises with Japan. Joint exercise with Japan in general terms is not a problem, he told reporters while visiting the Japan Coast Guard's third regional headquarters in Yokohama on the third and last day of his Japan visit. Duterte thanked Japan for providing vessels to the Philippines to help it patrol its waters. He did not reveal whether or not he discussed a possible visiting forces agreement with Japan. During talks with Japanese Prime Minister Shinzo Abe on October 26, both sides agreed on the significance of the peaceful settlement of disputes.